• there is no basis for believing free markets are best? • people are innately highly social, even as we also compete? • the Federal Government must create and spend money before it can tax? The Federal budget is not like a household budget. • GDP is not proper accounting? It is a crude tally of the things we spend money on, including harmful things like excess logging. 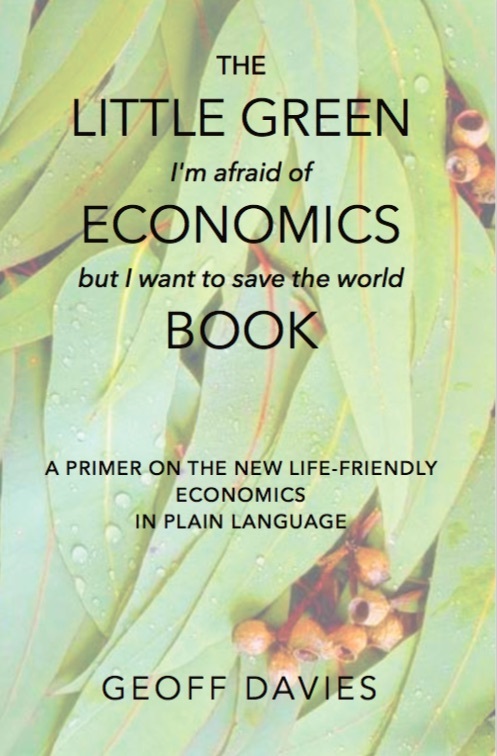 This little book flags fatal flaws in current economic management and explains how the economy could be run for the benefit of everyone, with far less impact on the planet. No jargon, no maths, just clear ideas simply explained, with more sources to explore.